With enriched industrial experience and knowledge, we are manufacturing and supplying our clients with a wide assortment of Gravity Die Casting Machine. Used for producing copper alloy castings of large and medium size. Established in the year 2009 at Faridabad (Haryana, India), we “A.D.S International” are a Sole Proprietorship firm affianced in manufacturing and supplying of Hydraulic Machine, Hydraulic Press, Rubber Molding Machine, Die Casting Machine, Power Pack Machine, Power Press Machine, Hydraulic Moulding Machine and SPM Machine. These machines are highly urged for their superb functionality, easy handling and long service life. 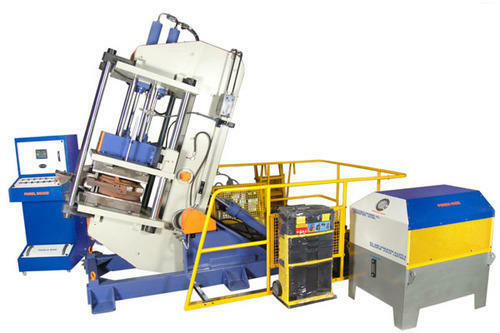 Additionally, we render Rubber Plant Installation Service of these machines in hassle-free manner. Under the leadership of, “Mr. Mahender Yadav” (Proprietor), we have been able to provide utmost satisfaction to our clients. We are offering products with Baba Hydraulic Presses.